Some places have all the luck. Firstly the Barossa Valley is undoubtedly Australia’s most recognised wine region, with studies showing that it is one of the only ones that consumers in the United Kingdom and United States can actually identify. Located within an hour from the outskirts of Adelaide it also has the benefit of hoards of wine tourists walking through every year, compared to unlucky fellow SA vignerons in the Clare Valley or Coonawarra. The Barossa Valley also has one of the longest traditions of continuous winemaking tradition dating back to the mid-19th century, and has the vines and facilities to prove it. The subject of change is quite touchy, whether it relates to new techniques, new varieties or new clonal material. With generations of heritage passed down and a huge investment in promoting the supremacy and uniqueness of old vine wines it is hard to break free and try something different. Evolving markets filled with disinterested consumers for the kind of wines that Australia has become synonymous with, not to mention climate change means that new thinking is not only a good idea but mandatory for survival. There are a select few that aren’t winning friends in the region but are gaining a cult following for their wines that break the mould, particularly in terms of alternative grape varieties. Yelland & Papps is one of the new and dynamic producers that the Barossa Valley is gaining attention for in the cool wine bars of Sydney, Melbourne and Adelaide. Established in 2005 and only now completing their third vintage in the winery outside of Nooriootpa they certainly break the mould in terms of generations of tradition handed down. Neither Susan Yelland nor Michael Papps have any wine in their lineage, nor are they even from the Barossa . Michael has lived and worked here for over 20 years, and Susan moved here in 1999 having lived in Adelaide and New York previously. After each gaining experience working for other wineries in the region they took a risk in establishing their own brand, initially producing wine in other facilities from grapes they had purchased. They now own their own five acres of heaven complete with winery and cellar door from which they can make and market their own expression. One of the amazing things about their wines is that no formal study was conducted in their production. 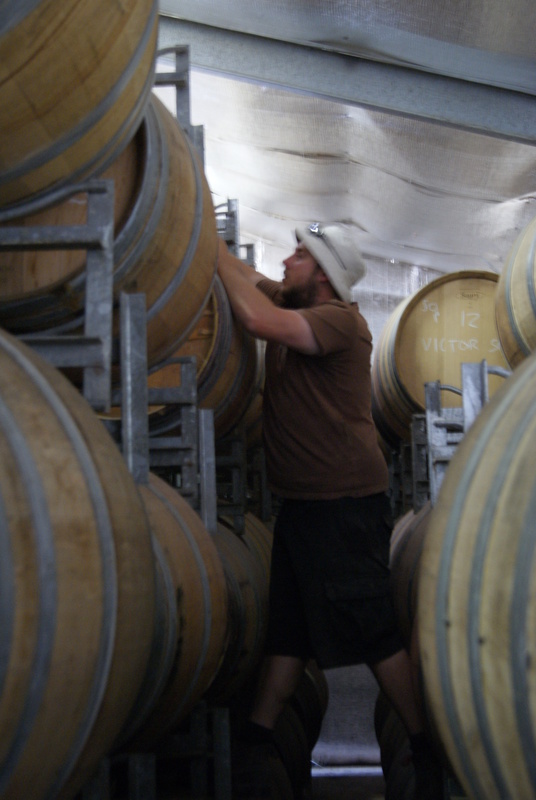 Michael has simply worked as a cellar hand for numerous other producers and picked up things along the way. It is mostly intuition that drives them, as well as a desire to produce something against the stereotype of the region. This is done both by making atypical styles using classic grape varieties like shiraz and grenache, and also by making wines from emerging grape varieties. They are sourcing fruit from growers like vermentino, barbera, dolcetto and primitivo. Conscious of not producing wines for critics but for consumers, they still have managed to garner some top ratings from a number of experts, including James Halliday who listed them in the top ten new wineries in Australia. Michael took me through some of the wines in bottle as well as a range of the Italian varietal wines currently in barrel. Click here to see my notes on the wines. Massena is the creation of two young and outstanding winemakers in the Barossa who in an impetuous way decided to create their own brand amidst a classic vintage. Whilst they worked vintage for others they craved a more approachable red instead of the typical jammy fruit-bombs the region was seducing the world with. Their first grenache based wine was named “The Moonlight Run” after the drive home they’d make after a long day in the winery. Having learnt how to make very classic styles of Barossa wine they began to play around with un-classic styles. Not unlike Y&P this consisted of sourcing fruit from growers in a number of key areas in the region, both from old and new vines and varieties. 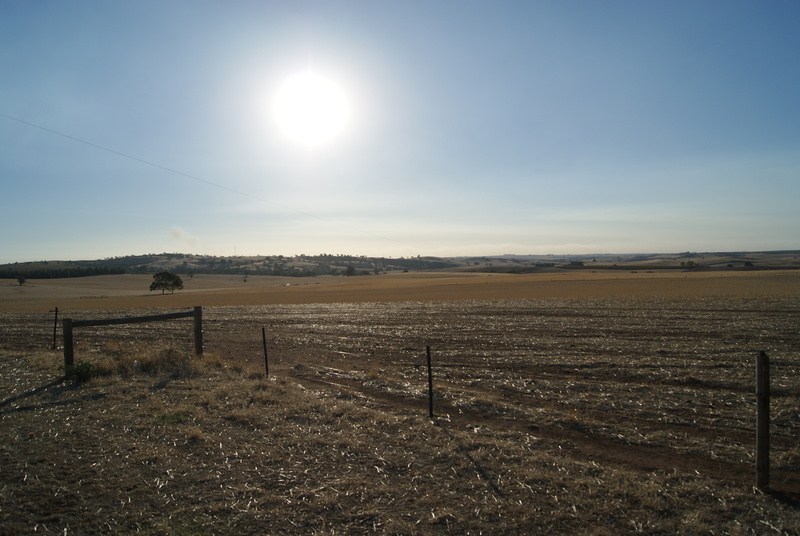 An important prerequisite was that the vineyards were low-yielding and dry-farmed to ensure quality and concentration of fruit, particularly in drought conditions. Knowing how certain typical varieties were characterised in the environment they began to select other varieties that were perfectly suited to the climate. 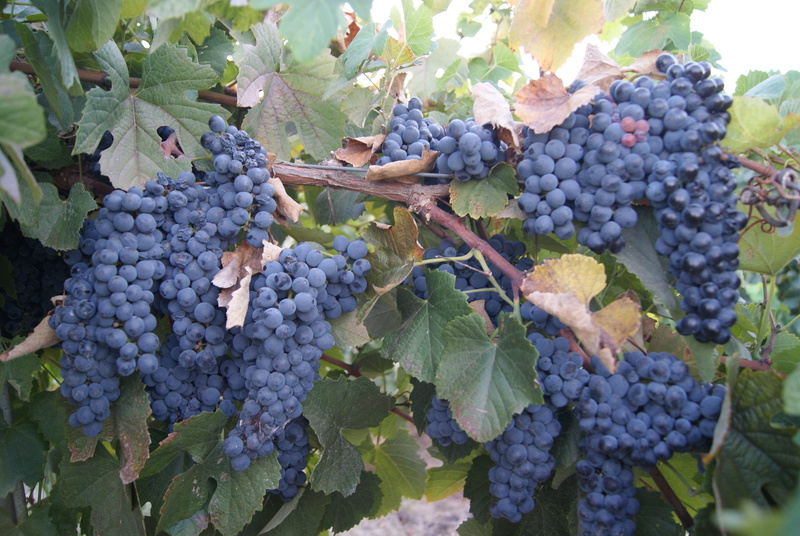 Italian varieties like barbera, dolcetto and primitivo were selected, as well as varieties like tannat, saperavi and the California classic petite sirah. Varieties and parcels are separated through processing and maturation until the assemblage blending is conducted. 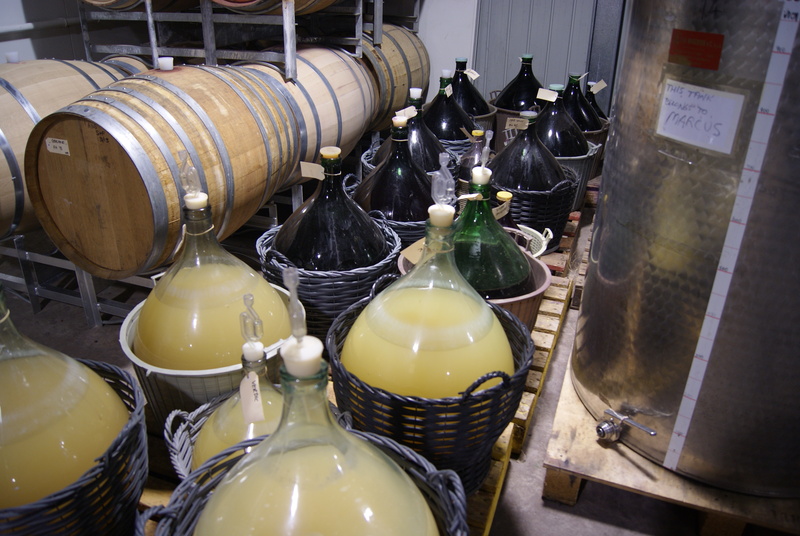 With the fruit-sourcing, varieties and winemaking techniques they use, there tends to be much better vintage-variation and expression. Some varieties do better than others each year, and that is part of the excitement. 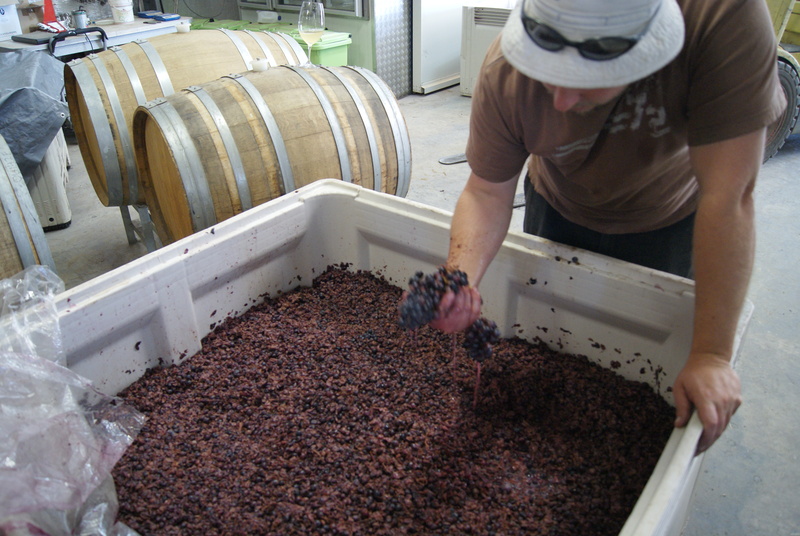 Whilst their techniques and varieties may be a little different, they are still producing classic Barossa-style wines that are full and rich, but what is important is to retain some freshness and liveliness, and in many cases this is by harvesting a little earlier to retain more natural acidity. 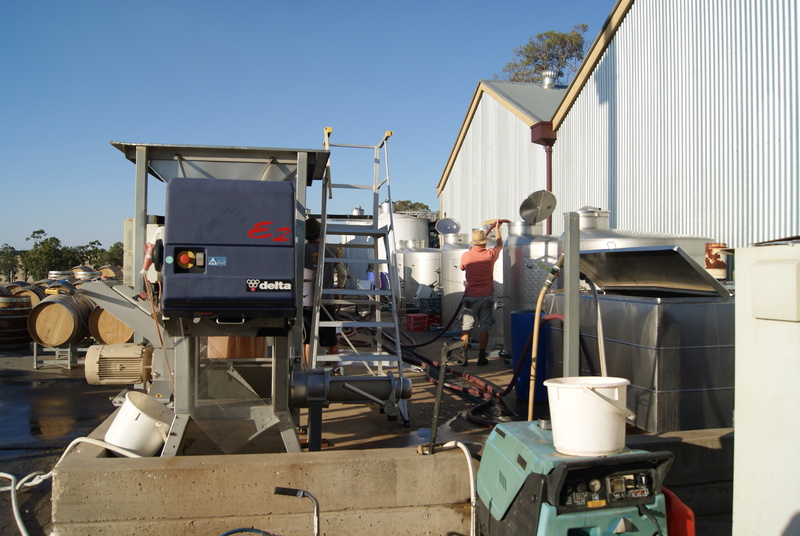 They are now producing wines in Lyndoch which is in the southern part of the Barossa Valley, in an old sheep-station that was converted into a winery mid-2000s. Click here to read notes from the bottled and unfinished wines I tasted. Wayne Farquhar is nothing if not controversial. For one thing he has worked tirelessly for many years attempting to improve understanding of viticulture in Australia. He has done this by travelling and researching to find the best clonal material that will not only yield better quality fruit, but be more suited to the Australian climate and soil type. This vine material is also designed to be healthier and produce more consistently. Secondly he has also spent many years researching alternative European varieties which are also potentially more suited to Australia, coming from more Mediterranean climates where there are higher temperatures and less rainfall. 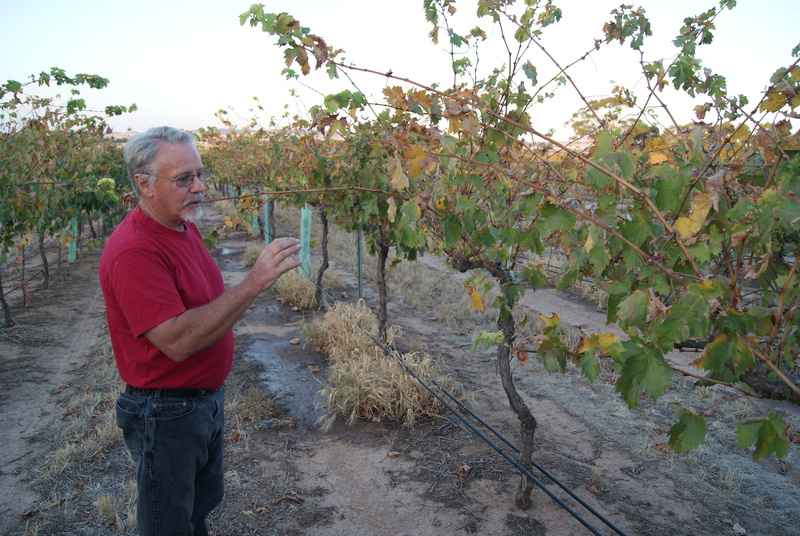 Through his grape-vine nursery business he has taken tremendous financial risk and time to bring these new vines in and make them available to grape growers around the country. Many new and established regions and producers have benefited from his hard work to generally improve quality and diversity, particularly in Victoria which is the second largest wine-producing state in Australia. Unfortunately Wayne is located in the Barossa Valley, not only one of Australia’s largest and oldest wine regions, but also with a long tradition that people are reluctant to diverge from. There are two major reasons why this is. The first is that like many parts of Europe viticulture has been passed down to children for 150 years, and part and parcel is to continue the same traditions. 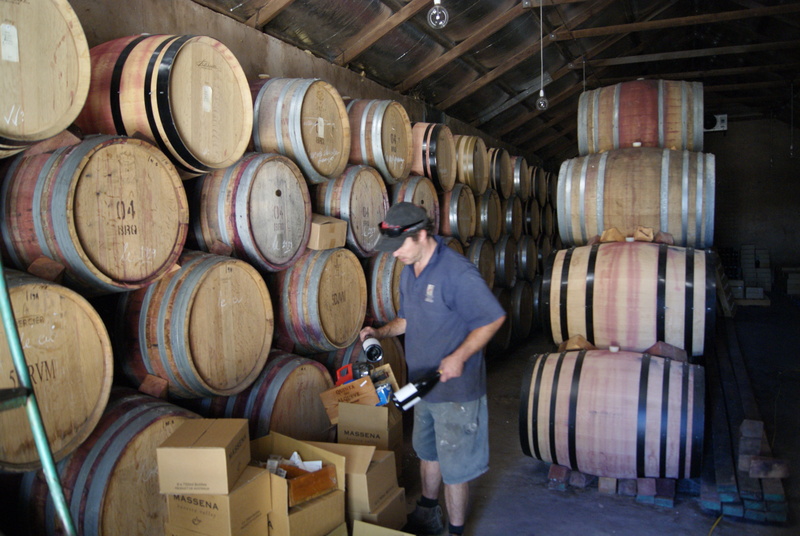 The second is that a large part of the marketing and communications around the region, particularly in terms of a unique selling point globally, is the old vines and the reputed quality of the wine coming from them. To suggest converting vineyards over 150 years old to graft ‘better’ clonal material, whether it is the same variety or not, is simply a risk many will not take. It matters little that Wayne can prove that better clones can not only produce as well in terms of quality and yield, but do so much sooner. It also matters little that the continued issue of climate change makes many key varieties in the region, such as cabernet sauvignon, unsuitable and introducing new varieties is advisable. It is somewhat ironic that the bulk of Wayne’s customers for the nursery aren’t even in the state let alone the region. Effectively he is an elephant in the room, and he is now putting his money where his mouth is and beginning to produce wines from his own vineyards to show how good the quality can be. He took me around the vineyards showing me how he is not only working with Italian, Spanish and Portuguese varieties but also utilising best practice in terms of trellising and propagation. In his modest winery he is working quite simply and also traditionally to produce a range of different wines, with more to come on board in the future once the vines are mature enough. At this stage there are no wines in bottle under the Frill Hill brand (the name refers to the particular breed of lizard found in the hill above the vineyards that were referred to as frilled neck lizards). He took me through a range and I was able to see there is work to be done here, but if there is great fruit to begin with then it isn’t difficult to make great wine. You can find more photos from my day in the Barossa Valley here.